MagicWalls is a family business. 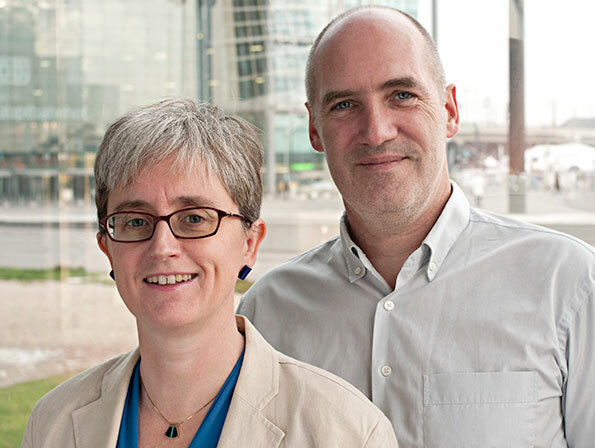 Nancy Chapple and Jens Paape have been working in and with collaborative environments for over a decade. With this joint background and the designing skills of Jens as an engineer we have been able to develop a portfolio of collaborative furniture that fulfils the needs of today's flexible and interactive ways of working. As a small business we care about our products and our customers. 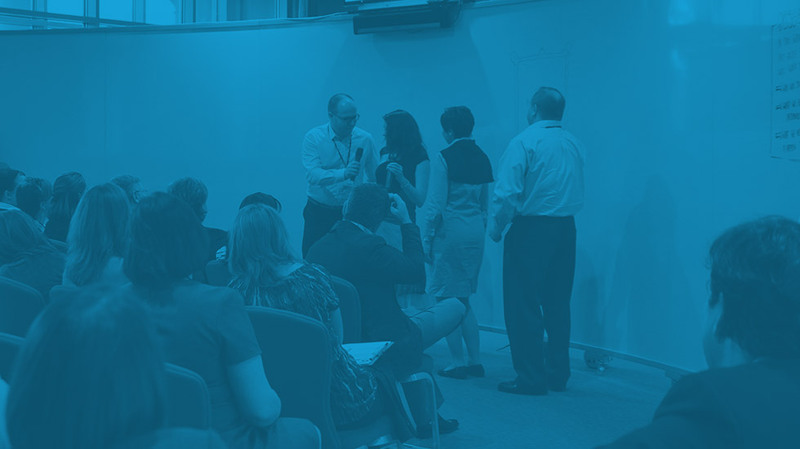 We are proud to offer friendly personal contact and individual consulting about the right solution for your requirements—be they standard or tailored. Based in Berlin and running a subsidiary in Singapore and with a network of partners in Europe, the US and Australia, we can serve you wherever you are. 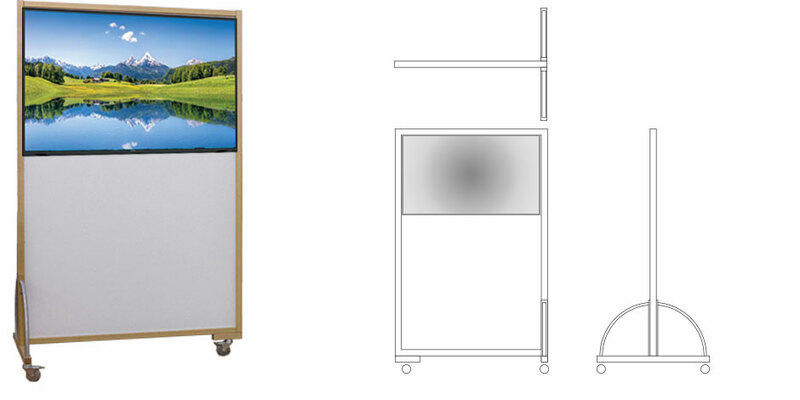 Aesthetic design and sustainability combined with hands-on solutions that enable easy set-up and transport are the distinguishing features of all our products. We use only the finest materials, like a top-quality porcelain steel surface that even after years leaves no shadows or ghost pictures after cleaning, the best quality wood for the frame, and stainless steel for the wheelsets. We work in close cooperation with local companies and craftsmen to ensure each individual component is produced in the best quality. For each order we track every step of the production chain to ensure that the final product is flawless. This enables us to give you a 5-year warranty on your furniture. All our products are manufactured and assembled completely in Germany. We really do care about the environment. This means that we source our materials carefully from sustainable, renewable sources. We avoid waste and pollution. 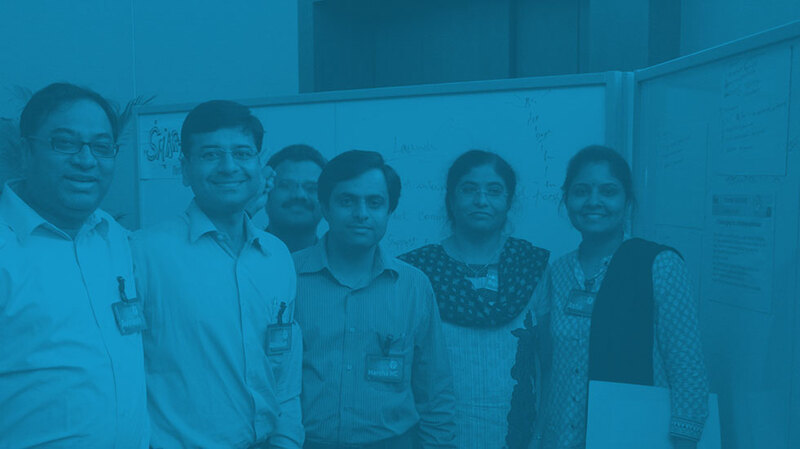 Together with our partners we ensure high production and safety standards as well as fair wages. Prices indicated on this website are for orientation only. 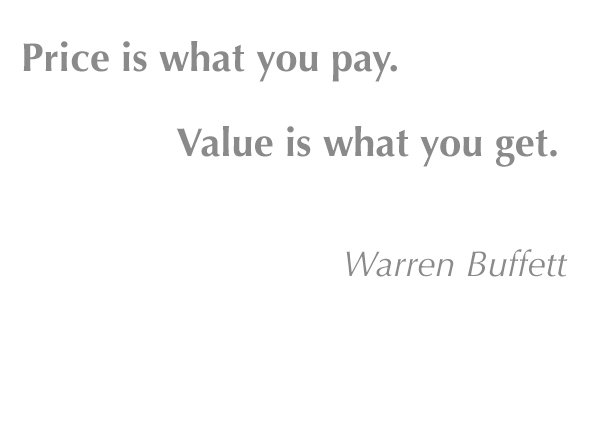 Please always request a quote. Prices are for standard-sized walls with beech frames. Shipping is not included. Non-standard sizes, other kinds of woods or coating will be calculated on an individual basis. 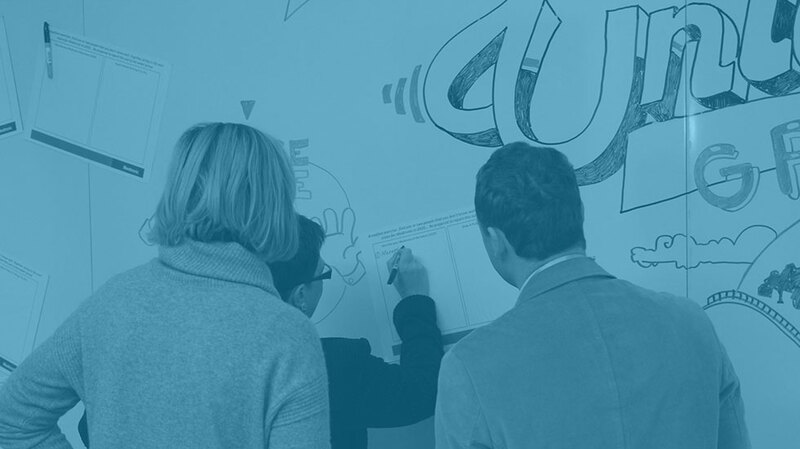 We can also provide completely tailored solutions for your workwalls, as well as personal consultation for complete environments. 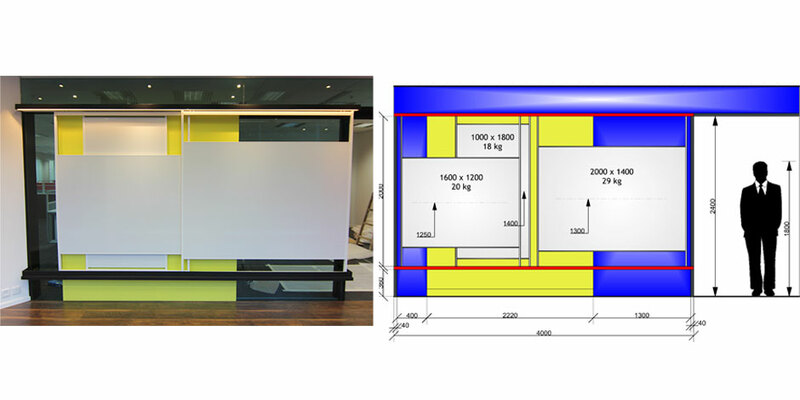 "MagicWalls are high-quality and easy to maintain. Because they are so easy to use and mobile, we can create any set-up we want and change it (m)any time(s) during the course of an event. We have worked with many different types of walls. 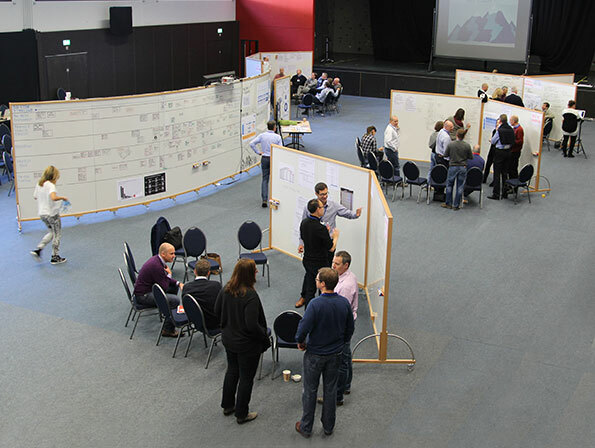 The MagicWalls are the best-in-class currently available in the marketplace." 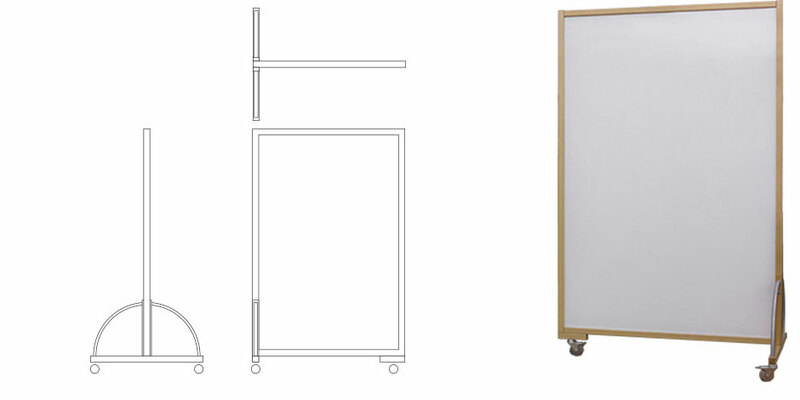 The MagicWalls that we design and produce have top-quality porcelain steel surfaces, a solid beech frame and casters with locking devices. Due to their three-legged design, any two walls can easily be positioned at all possible angles. For transport or storage, the wheelset can be removed by loosening just one screw. To make them even smaller for transport, you can remove the single wheel by taking out two additional screws. The working surface is of porcelain steel—magnets stick to it. You can write on it with whiteboard markers; the surface can be easily cleaned and leaves no shadows—even after years of use. On request, we can provide other sizes, different types of wood for the frames or can coat the frames in any color you like. 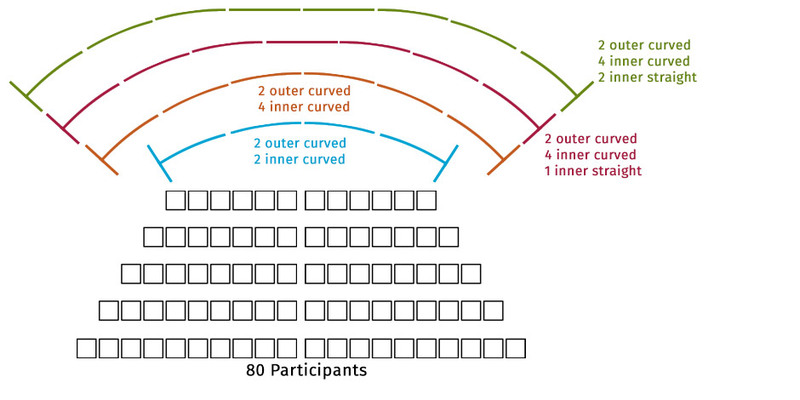 Our radiant wall is expandable to support whatever number of participants you have—just insert additional elements (curved or straight) between the two outer elements. 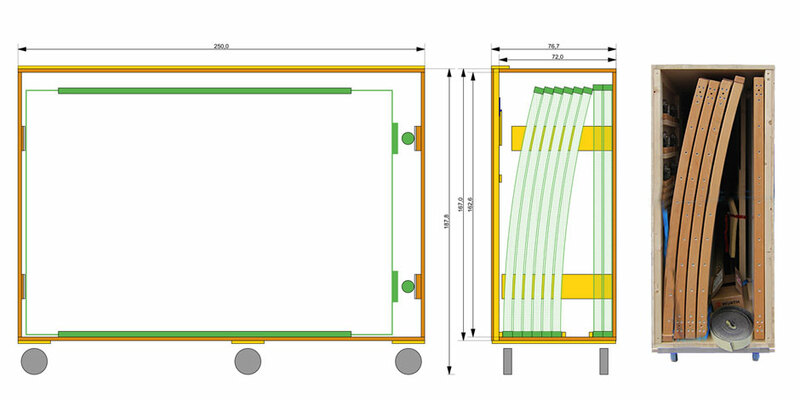 Thanks to the wheels under each element, the whole radiant wall can be moved on an even surface with 3 or 4 helpers. 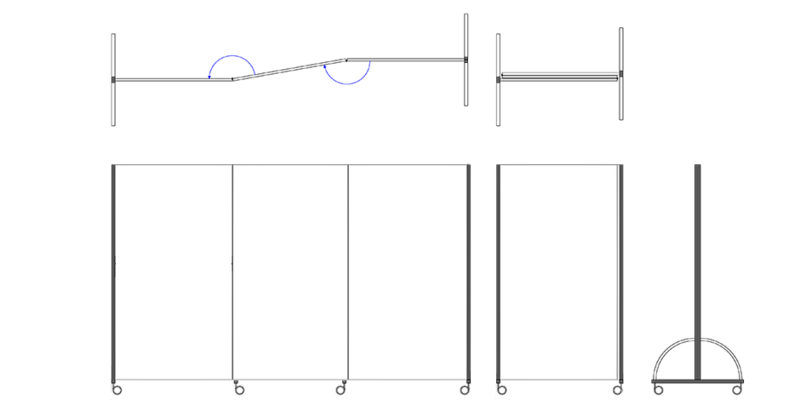 For rooms with low ceilings we have designed a version of all elements with a reduced height of 2.10 m.
To the right you see two curved walls with two panels each. The frame is coated white. Between the two outer elements any combination of curved and straight inner elements is possible. 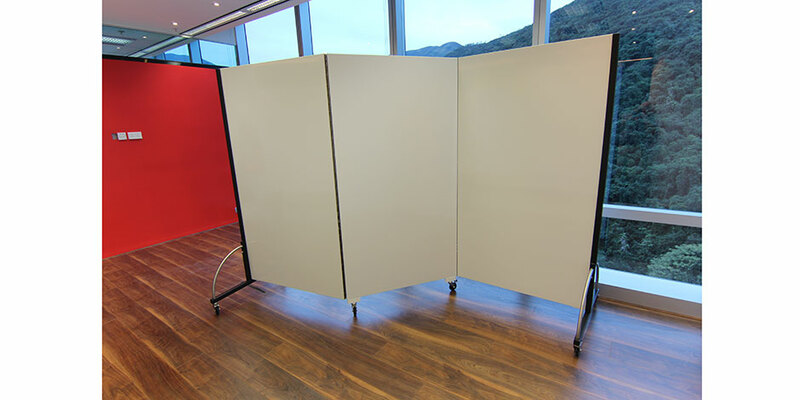 We also offer a version where you can split a long wall into two shorter ones by inserting separate outer posts. The reverse is also possible: you can combine two shorter walls to a long one by taking the posts out. 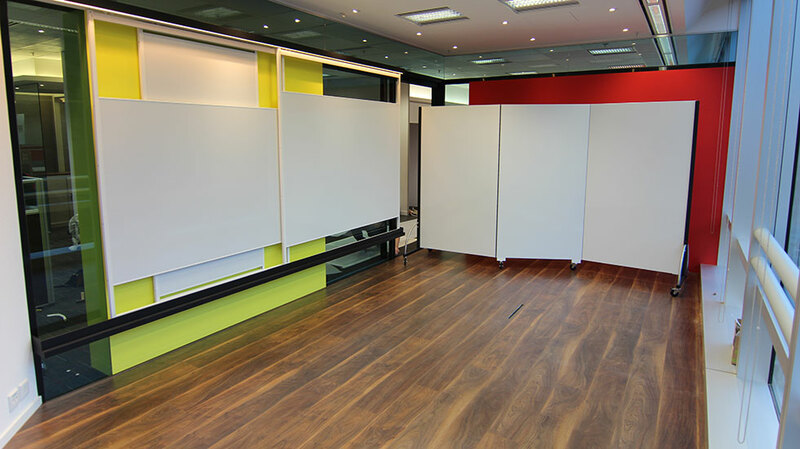 Our Single and Double Walls are the essence of every collaborative workspace. 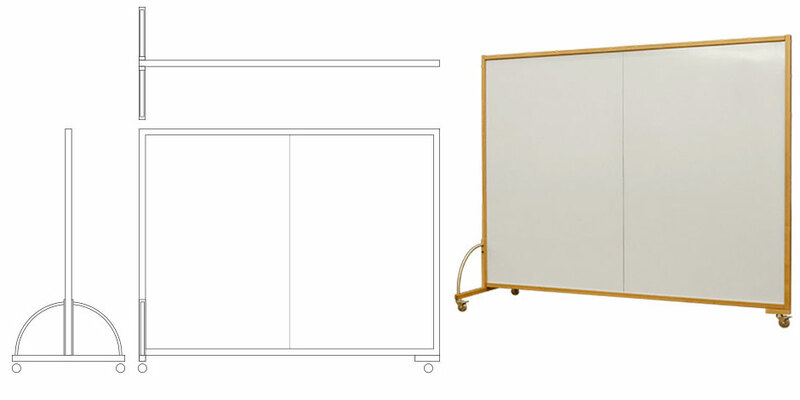 They serve not only as a surface to develop your ideas or hang print-outs and posters with magnets, but also as room dividers. 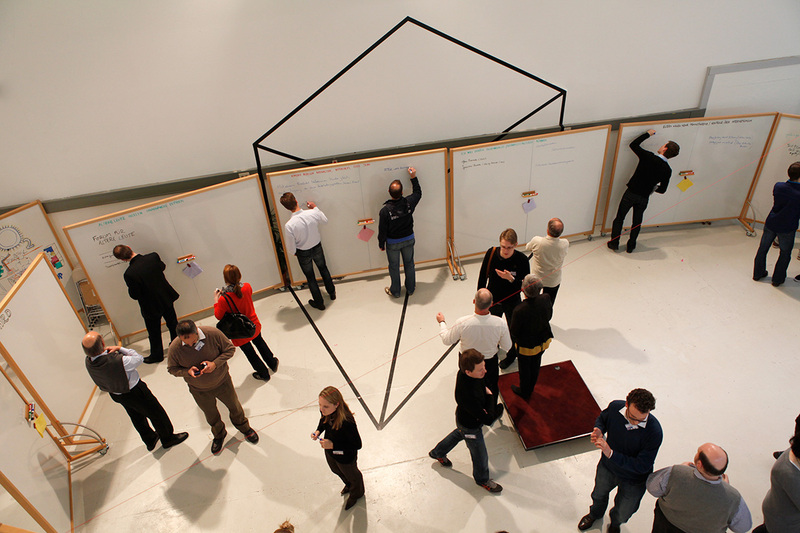 Build a “star” with 3 walls or a “cross” with 4 and you can host 3 or 4 groups. 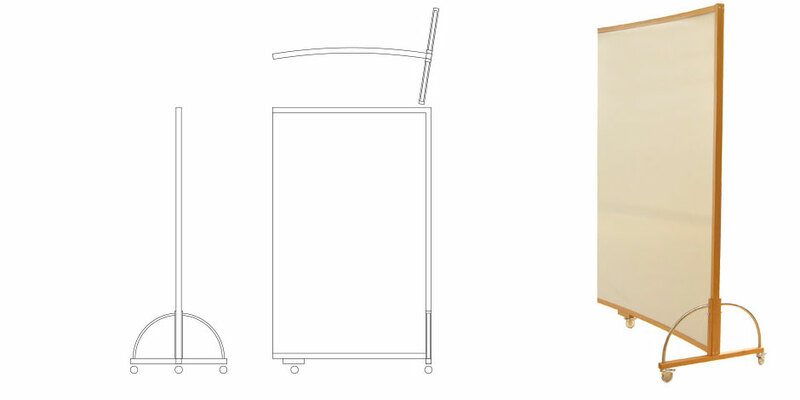 If you have to deal with small elevators or narrow staircases, your best choice could be our dismountable Double Wall. 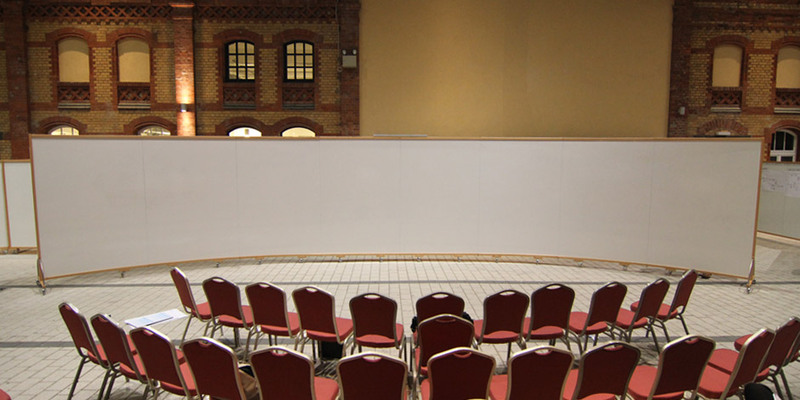 Our 3-panel foldable walls are highly flexible when only a limited space is available. 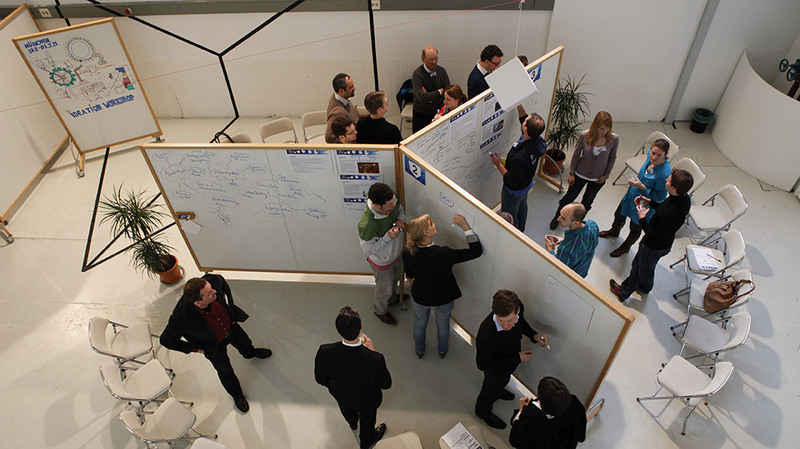 Like all our walls, they have steel ceramic whiteboard surfaces on both sides. They are produced in two sizes. When completely collapsed, they use only 1/3 of the space. 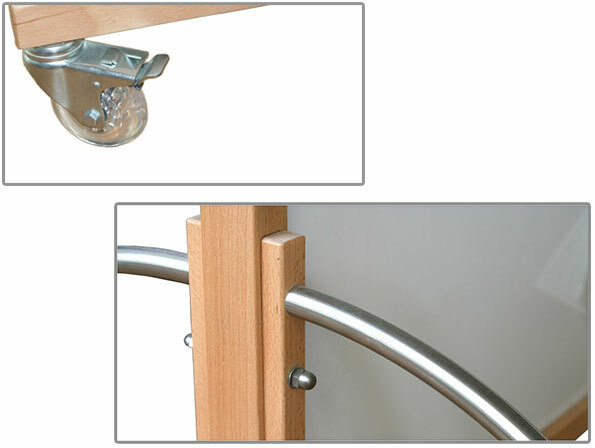 Even without upper frame elements they are very stable due to the use of piano hinges. 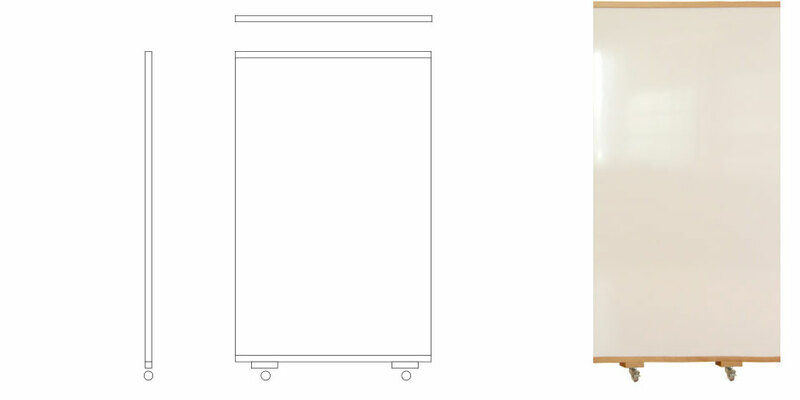 This Single Wall is ready for mounting a 60-65'' screen where the cables are hidden inside. 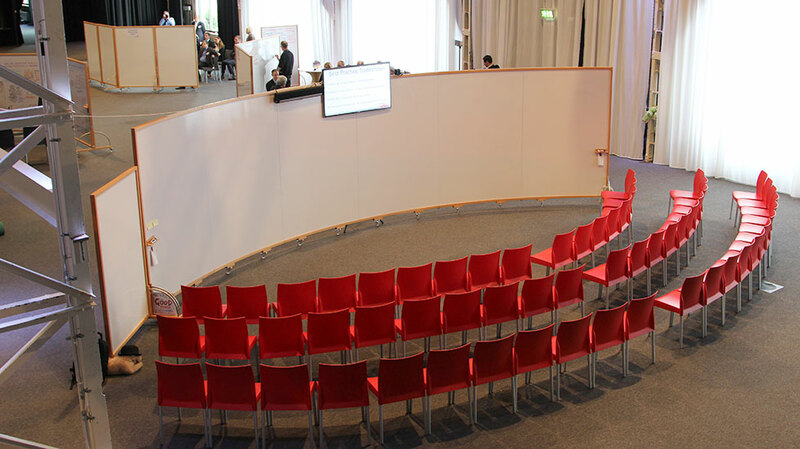 We offer a right and a left version so they can serve as a perfect extension of our curved plenary wall. 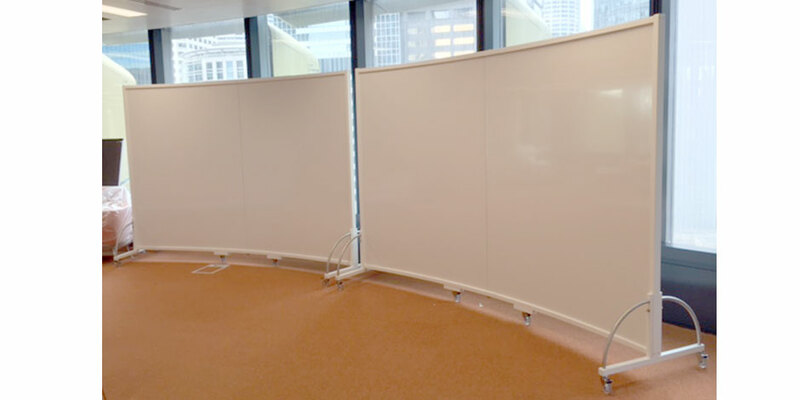 This 3-panel sliding wall was customized to fit a pre-designed meeting room. 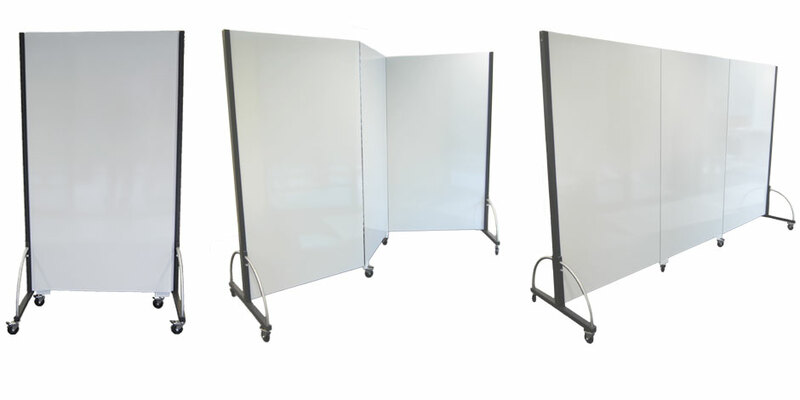 Our wall mounted panels are extra wide and up to 150 cm high. 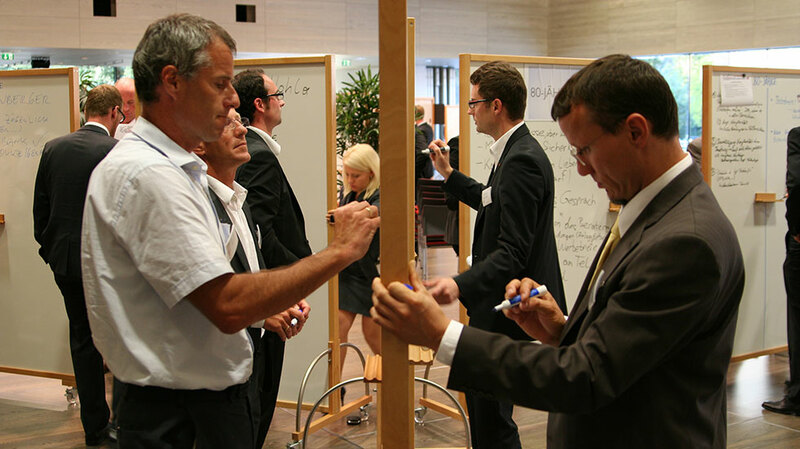 The whiteboard surface is seamless. How long does it take to set up 6 double panels? Sorry, but your browser does not support embedded video elements. You can find the video here: www.magicworkwalls.com/video/doubles-setup.mp4. How long does it take to set up a 6 panel radiant wall? You can find the video here: www.magicworkwalls.com/video/radiant-setup.mp4. 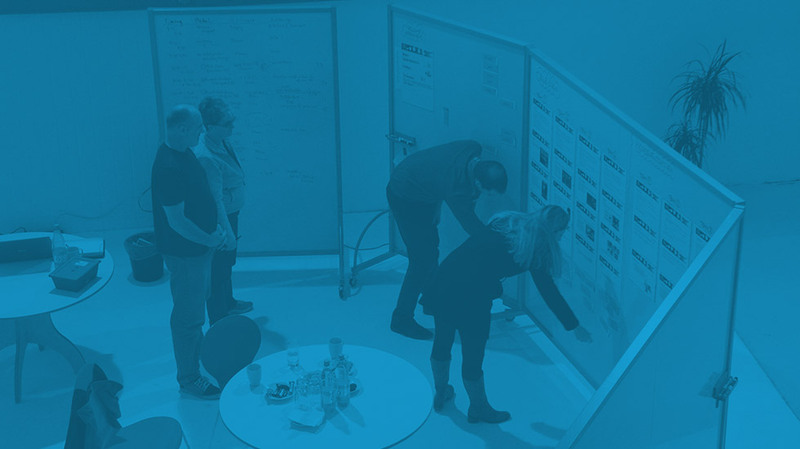 "We purchased a complete set of Magic Walls and we have them now in our leaders' offices—as every-day discussion/ideation space—when we are not holding our own small workshops. We have been delighted with the quality of the products – no complaints at all about their sturdiness, suitability for various climates or for that matter functionality." 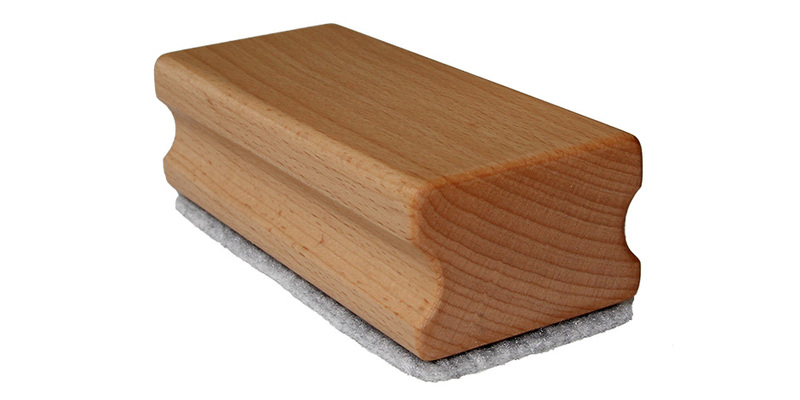 Our pentrays are of solid beech – a perfect match with the MagicWalls. The surface is oiled or transparently coated. 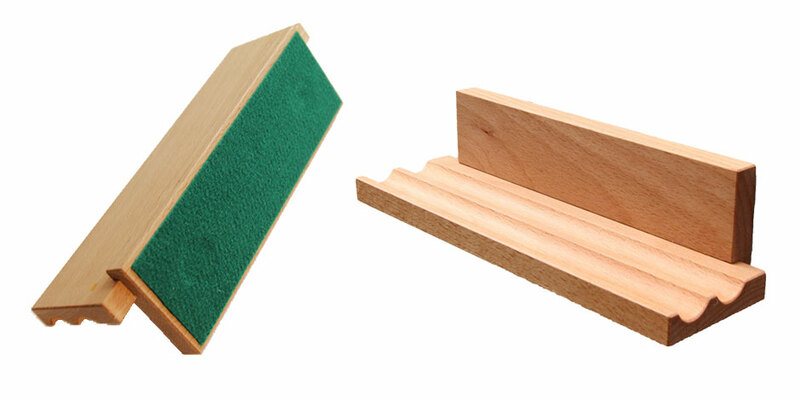 The back side is magnetic so the trays can easily be positioned on the working walls. 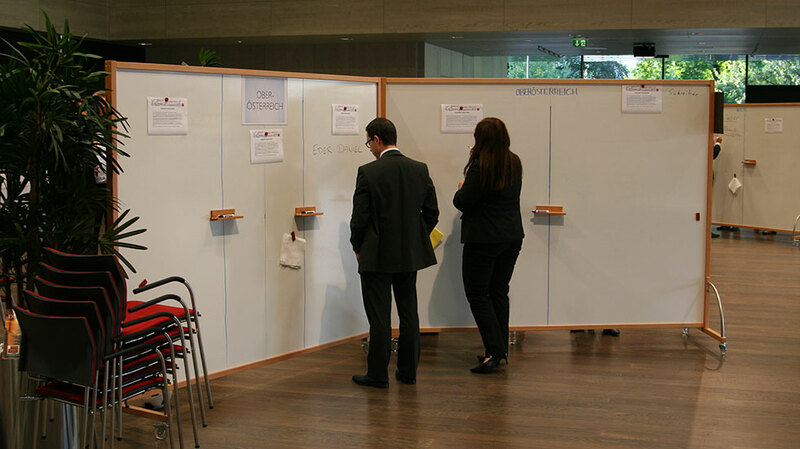 The back side is covered with a soft felt to protect the whiteboard surface. 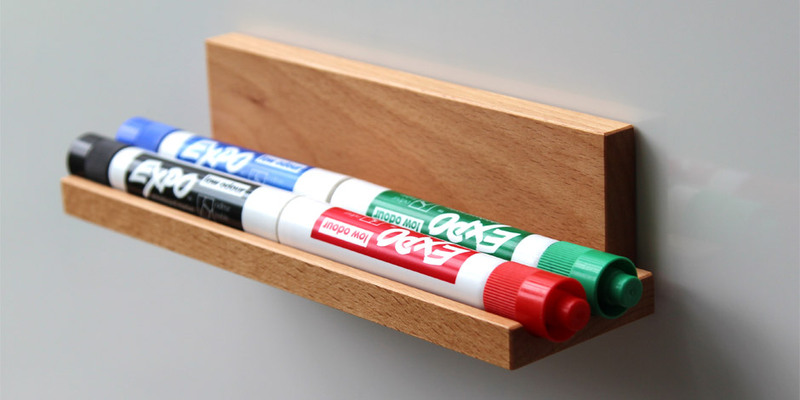 Our magnetic board erasers made of solid beech suit the aesthetics of the walls and pentrays and fit well in your hand. 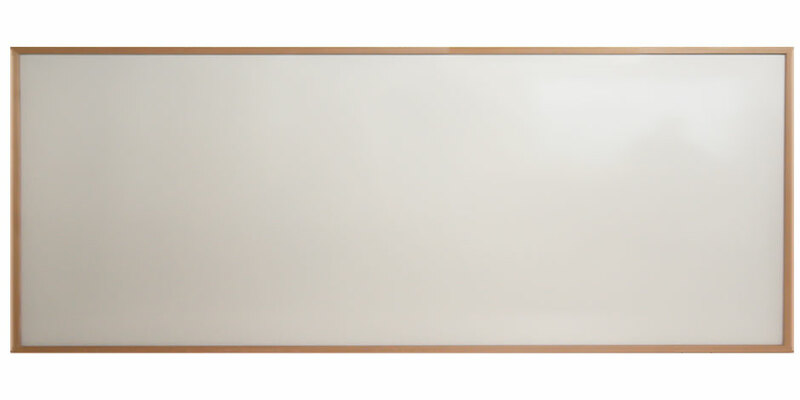 Because of their strong earth magnets, they stick to the whiteboard surface but can still be moved easily. 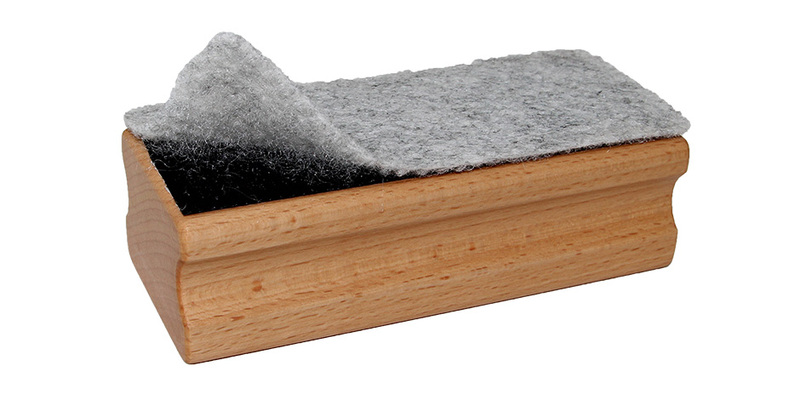 Due to their velcro back side, eraser felts can be exchanged very quickly. 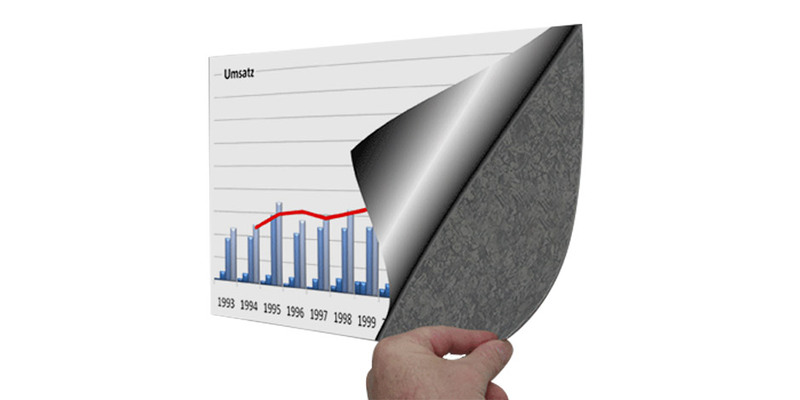 MagicPads are large (A4 / A3), flexible magnetic boards: the surface on one side is sticky and standard paper—either printed or blank—can be affixed to it repeatedly. 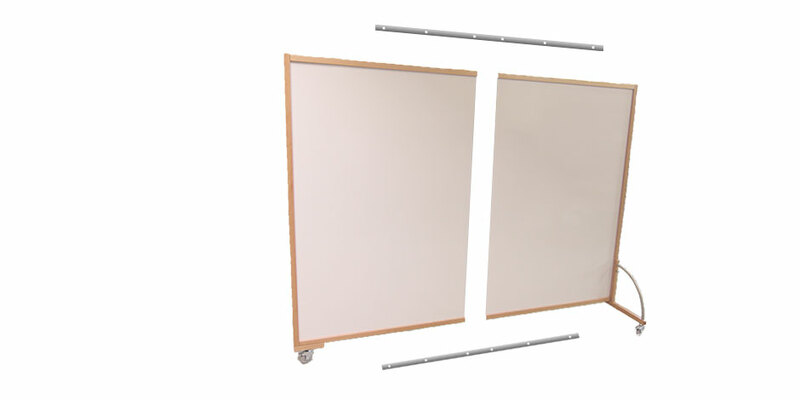 The magnetic side can be placed on the MagicWalls. 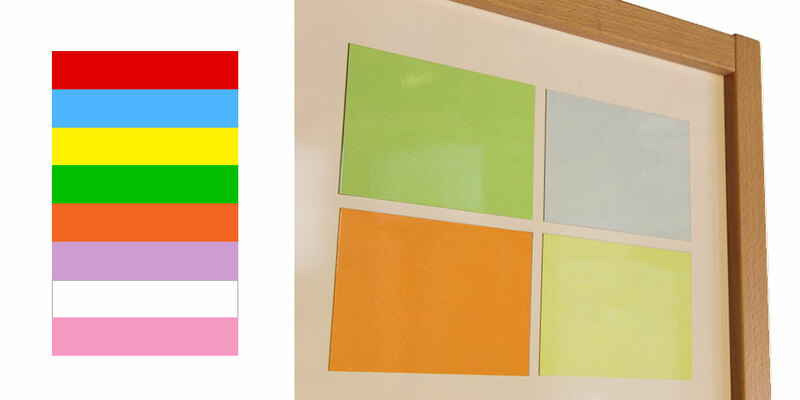 Our magnetic process cards have a high quality laminated surface so that you can write on them repeatedly with whiteboard markers. The standard sizes are A6 and A5 and they come in lots of different colors. Unfortunately, in Germany most suppliers offer only four colors—black, red, green, blue. 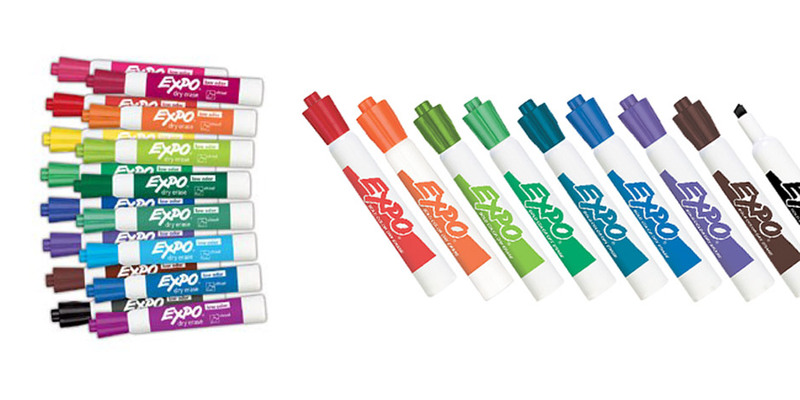 We are able to procure sets including orange, brown, pink, indigo and purple and more. "Nice people, great walls and also good service and after sales. I like working with MagicWalls." 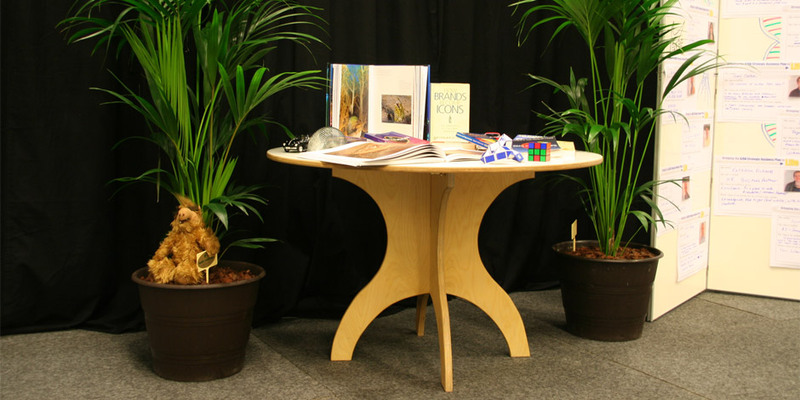 Our round working tables are designed for quick assembly and disassembly. They are of solid plywood; the table top surface is laminated in white and can be cleaned easily. 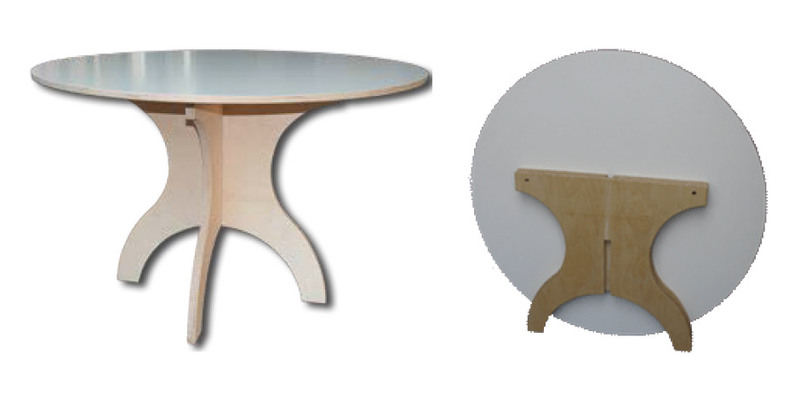 The base of the table consists of two nested oiled plywood surfaces and is attached to the table top with bolts. 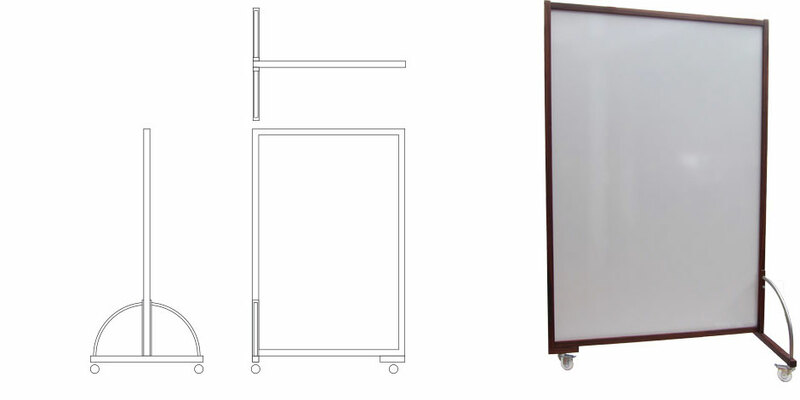 Assembling and disassembling can thus be carried out in just a few steps. 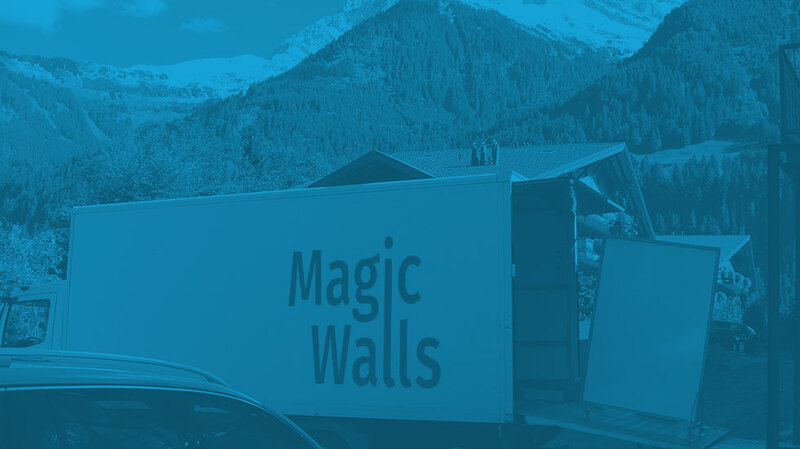 Your valuable MagicWalls should be protected for transport in the best possible way. 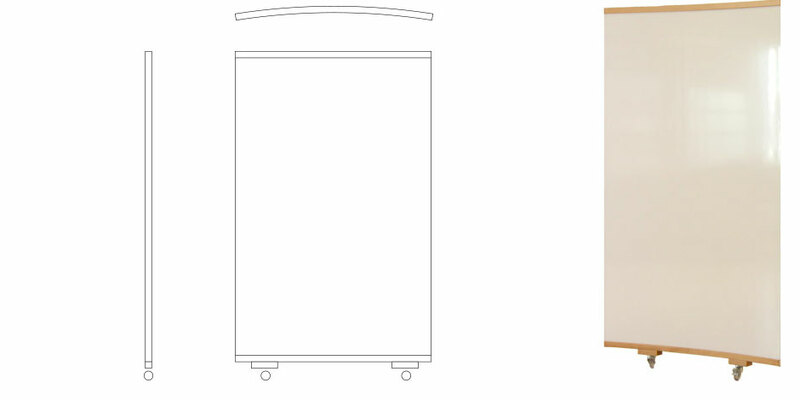 We have designed and are able to produce various kinds of transport cases. 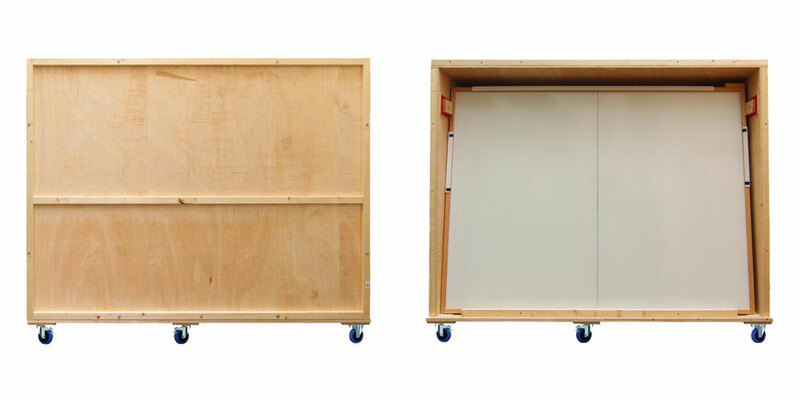 Depending on your special needs you can choose from several standard crates or have your very own version tailored. 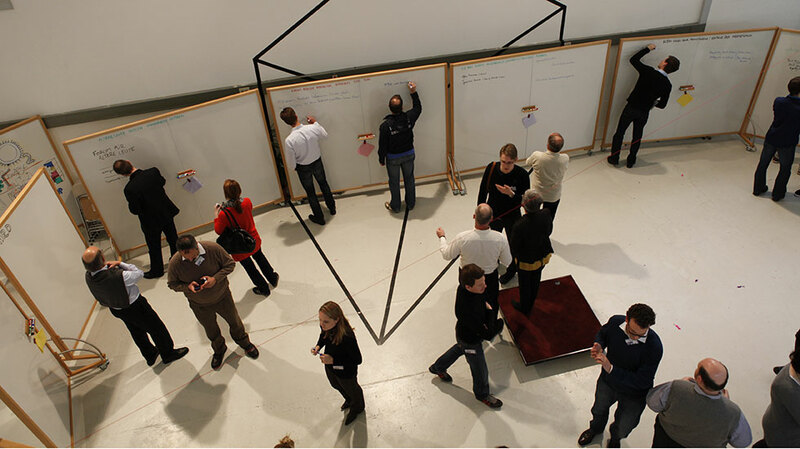 You would like to configure a room or space to enable creative, interactive working? 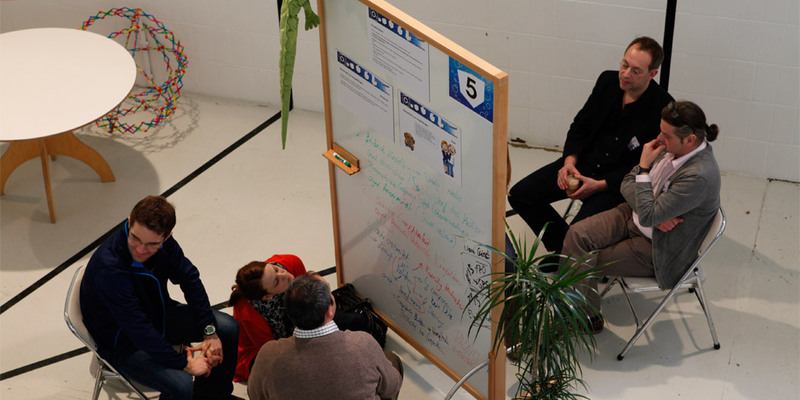 We will explain our concept to you on site and make an individual proposal. 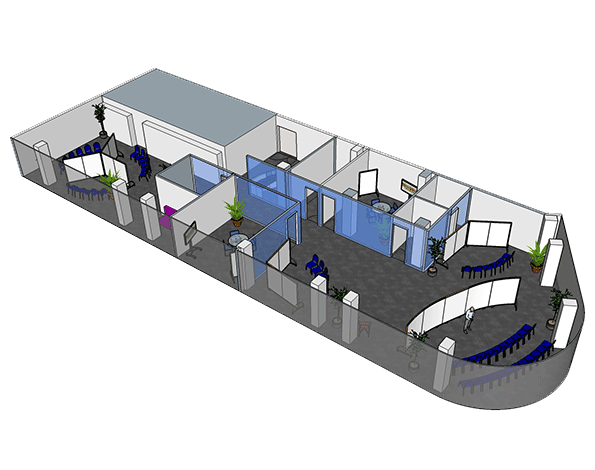 In close coordination with you, we develop a detailed concept for space design. This includes specific suggestions for furniture, technical equipment, lighting and much more. Collaborating closely with you and, if applicable, your interior designer, we implement the concept that has been developed. 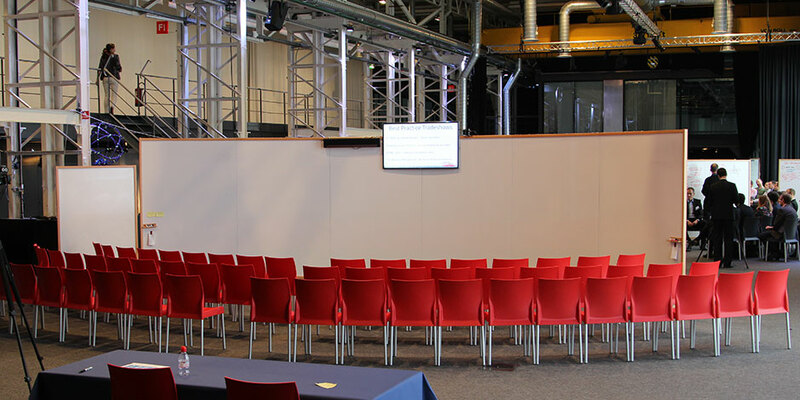 Special furniture and technical equipment can be supplied by MagicWalls. 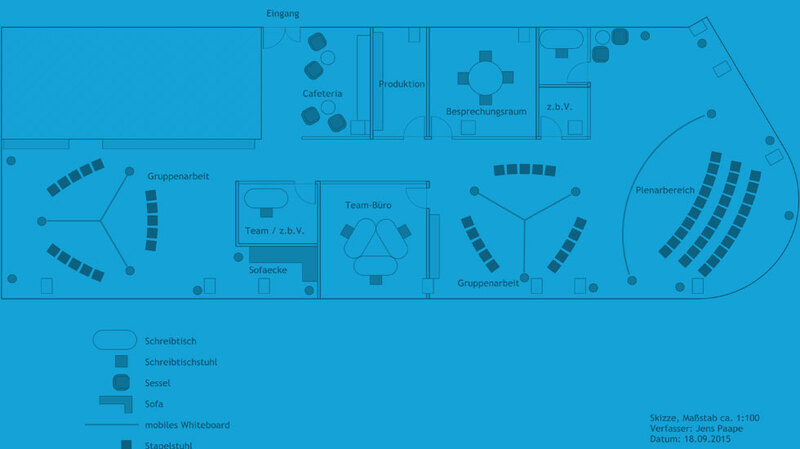 We are also happy to provide training for your employees in the optimal deployment of your new MagicWorkSpace. 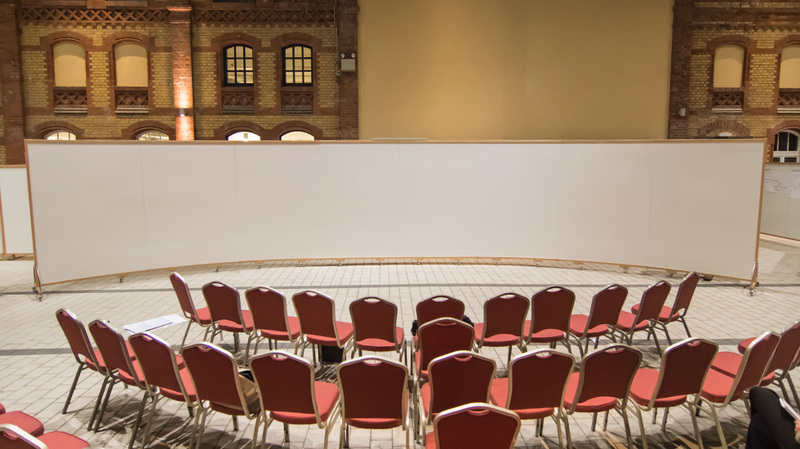 Are you interested in renting MagicWalls for your event? 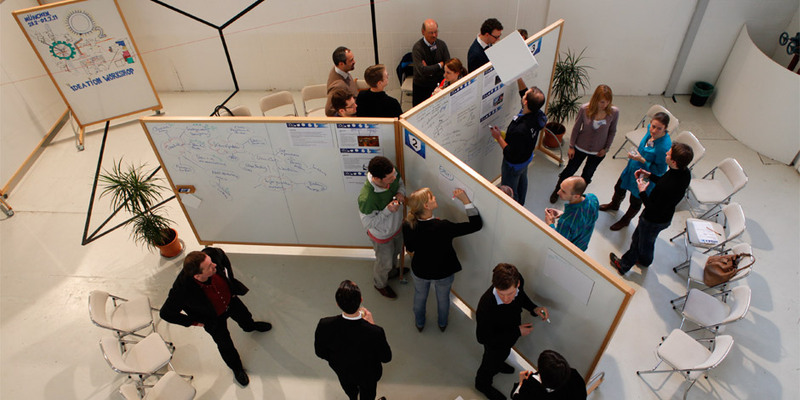 From our locations in Berlin and Singapore we offer not just Walls but also complete kits for running interactive workshops. In early 2017 we will have a set of walls in Hong Kong as well. The complete kit will be delivered and set up at the venue of your choice. 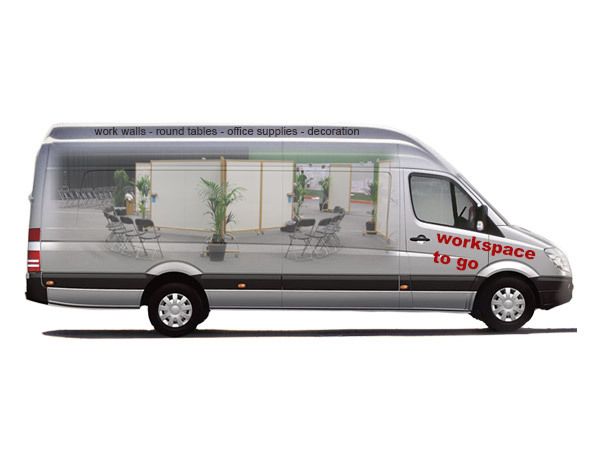 Please send your inquiry to contact or visit our rental website www.workspace-to-go.com.